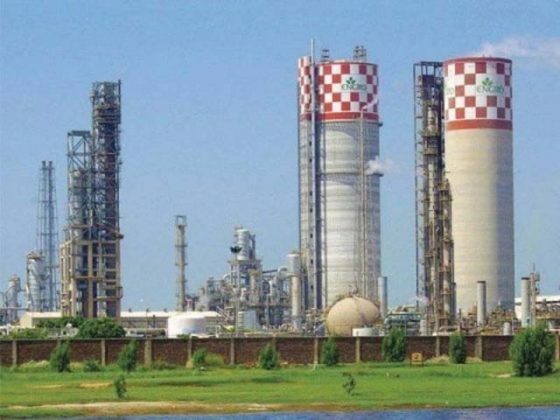 KARACHI: Engro Polymer and Chemicals Limited (EPCL) has announced financing of $35 million from International Finance Corporation to expand its production plant of Polyvinyl Chloride (PVC) – a chemical used in making numerous plastic products construction materials like water and sewerage pipes, cables, and consumer items like shoes, packaging films. This financing was a part of the initial Rs10.3 billion expansion plan announced earlier, out of which Rs5.4 billion has already been raised from the issue of right shares. Engro Polymer has been associated with IFC, a member of the World Bank Group, since its inception. EPCL, which remains the industry leader being the sole producer of PVC resin in Pakistan, disclosed adding a new production line of PVC after demand for the chemical continued to surge significantly in the country mainly owing to a boom in construction activities. EPCL announced investing over Rs10 billion for expansion of the plants, including those producing other related chemicals like VCM (raw material for PVC), and adding a new product to its portfolio named ‘caustic soda flakes’. While expanding the business, EPCL will add a new PVC plant with a capacity of 100,000 tonnes (taking total capacity to 295,000 tonnes per annum) and increase production of VCM by 50,000 tonnes through debottlenecking of the existing plant by the third quarter of 2020.